During a recent day-trip into Manhattan, my husband, our two sons, and I seized the opportunity to visit Discovery Times Square’s current exhibit, “The Art of the Brick.” My boys’ love of all things LEGO has resulted in my basement becoming a shrine to this popular, Danish, brick, construction toy. Naturally, we were very eager to visit the exhibit, which showcases artist Nathan Sawaya’s critically acclaimed collection of beautiful works of art made exclusively from LEGO bricks. The artwork is inspiring, but so is the artist’s story. Before you enter, you watch a brief film that describes his life: “When I was a lawyer I quickly came to realize I was more comfortable sitting on the floor creating sculptures than I was sitting in a boardroom negotiating contracts. My own personal conflicts and fears, coupled with a deep desire for overall happiness, paved the way to becoming a full-time working artist,” explains Sawaya. We wandered through the two-floor exhibit space marveling at the artist’s handiwork. Famous masterpieces as well as original works of art are entirely represented in colorful bricks. Next to each piece of artwork is a plaque that explains the historical context of the artwork as well as how Sawaya selected the specific LEGO’s to create the piece. 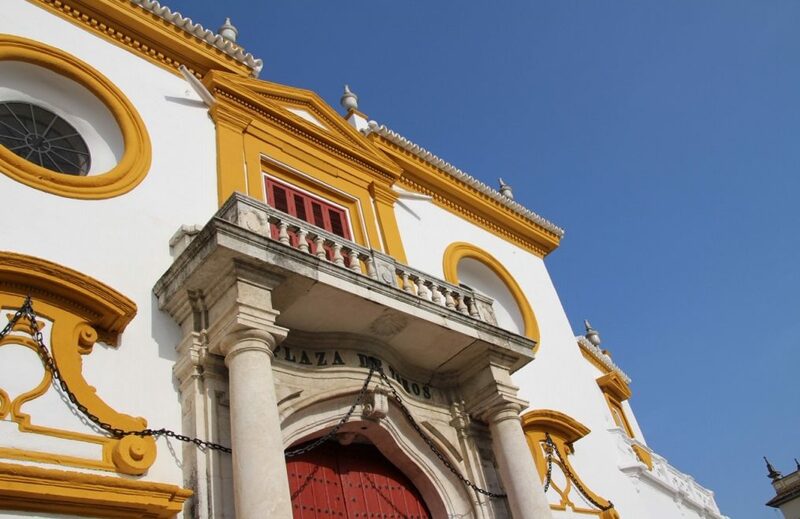 It is amazing to see how he has fashioned the fold of a robe, the roundness of a shoulder, or a brushstroke of paint, with only rectangular and square shaped pieces as his medium. You can’t help but smile in amazement as you admire his skills. From Vermeer to Van Gogh, and Whistler to Warhol, he tackles each piece with passion and flair. 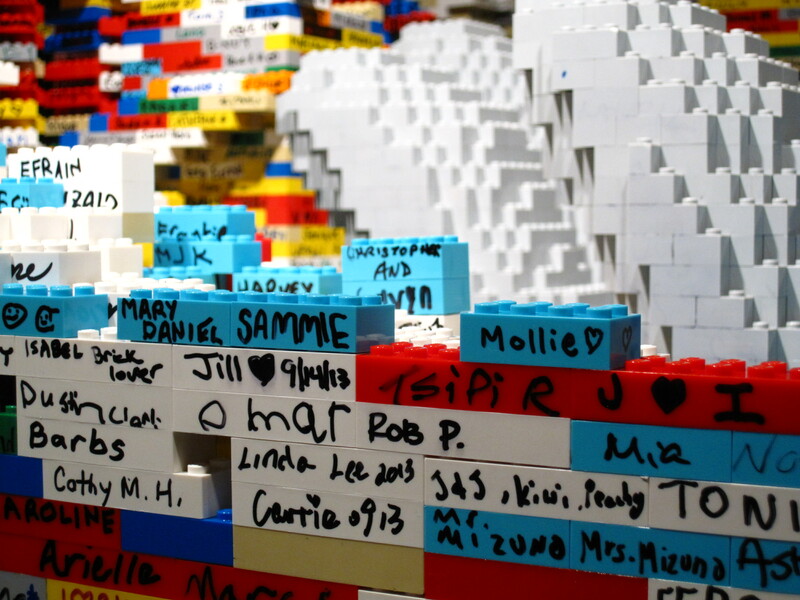 At the end of the exhibit, there is a place where you can write your name on a LEGO brick and add it to a growing, free-form sculpture. When the New York show concludes, Nathan Sawaya will take apart the sculpture and create a new one-of-a-kind sculpture of his own, to be displayed at future exhibits. Any extra bricks that he doesn’t use will be donated to charity. Whether you enjoy building with LEGOs or not, this is a must-see exhibit for children (and adults) of all ages. With a limited run, try to get there soon. (Check his website below for future exhibit locations in the U.S. and abroad). Discovery Times Square is conveniently located on 44th between 7th and 8th Avenues, so combine it with other family-friendly, midtown stops like the Times Square Museum & Visitor’s Center, Madame Tussaud’s wax museum, Top of the Rock in Rockefeller Center, the Bryant Park Carousel, the Sony Wonder Technology Lab (an amazing hands-on exhibit), or an overnight stay at the New York Marriott Marquis, just one block away. Ready to book a trip? 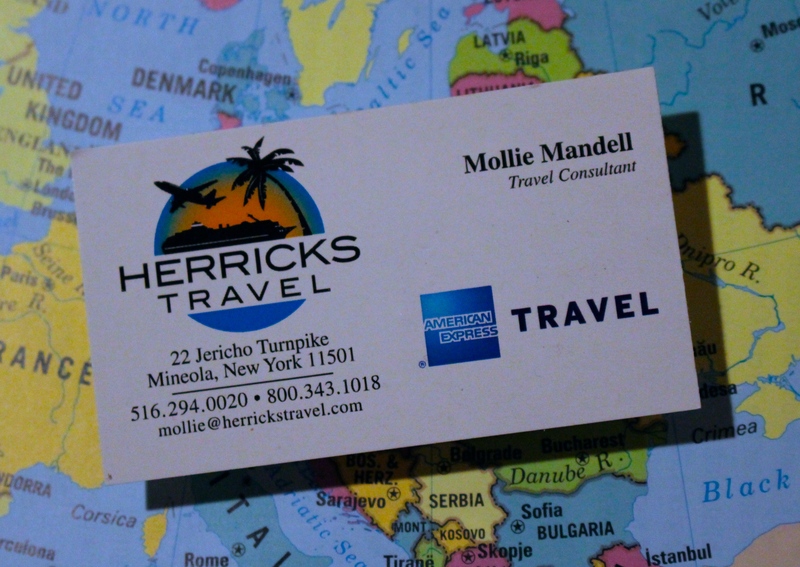 Email me at mollie@herrickstravel.com. 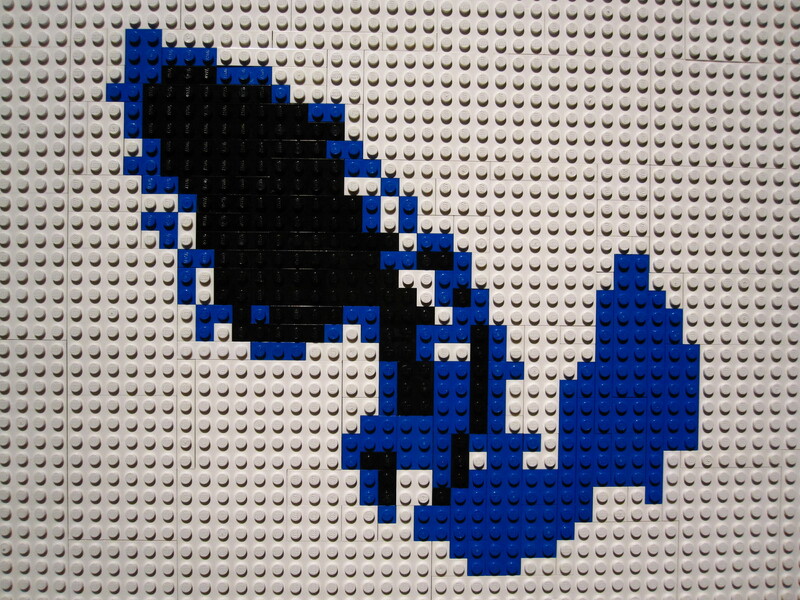 This entry was posted in New York, United States and tagged LEGO, Manhattan, Nathan Sawaya, New York, New York City, Times Square. Bookmark the permalink. Excellent article and very well written.